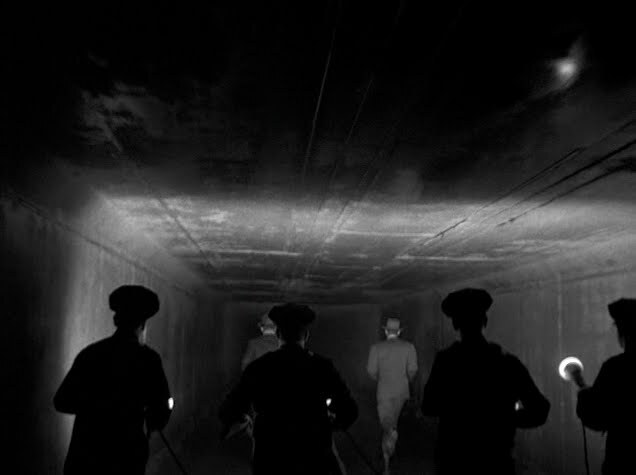 He Walked by Night (d. Alfred L. Werker/Anthony Mann) - The best film noirs (films noir?) can be broken into two camps. I'm speaking very broadly, of course, but in my view those camps are the doomed, prisoner of fate, dark psychology films like Double Indemnity, and the clipped, hard-bitten police procedurals, like He Walked by Night. This latter film, directed primarily by Anthony Mann after Alfred Werker fell ill, is based on a true story about a former Army radio engineer (Richard Basehart) who, upon his return from WWII, goes on an eclectic crime spree of burglary and robbery. When pinned down, he shows no hesitation about using his gun, and, after killing one police officer and critically wounding another, he shows no remorse afterwards. This film's tight 79 minutes focuses mainly on the police investigation, as led by Capt. Breen (Roy Roberts) and Sgt. Brennan (Scott Brady), with special assistance from a young Jack Webb, as a kind of ballistics expert and technical jack-of-all-trades. But Basehart still stands out in his cold psychopathy, whose desire for money hardly seems to be the driving force behind his crimes, but rather -- and even then only perhaps -- a desire to simply get away with it, no matter what. On the other side, Scott Brady represents the rage of a police force struggling to bring the net (or something with more weight to it) down on the man who killed one of their own, and the whole thing drives along at a relentless pace. He Walked by Night precedes The Third Man by one year, which is not a non sequitor piece of trivia, as Werker and Mann's film climaxes in the vast sewers of Lost Angeles, all shadows, echoing footsteps and gunfire, and wavering flashlight beams, courtesy of John Alton's ever-striking -- but especially so here -- camera work. This needs to be on DVD, like, yesterday. In any case, in Exposed Nastassia Kinski stars as a young woman who, after being forced out of college by her desperately lecherous English professor (Toback himself, in a performance that seems to be pretty rich in knowing self-mockery), takes to the streets on New York, trying to make her way. A series of men -- beginning with Toback's professor -- alternately hinder her, offer her help, or lie to her. After James Russo's restaurant owner gives her a waitressing job, Ian McShane's fashion photographer gives her a huge break as a cover model, after which she finds herself being shadowed by a mysterious, and quite frankly creepy, violinist, played by Rudolf Nureyev. They begin an affair, and he confides in her that his mission in life is to kill a particular terrorist who, along with the horror he's showered on dozens, if not hundreds, of innocent strangers throughout Europe, has had a significant, and negative, impact on Nureyev's own life, and that of his family. This terrorist is the last link in Kinski's chain of male experience. Harvey Keitel plays the murderous Left-wing revolutionary, and it's with his appearance that I began to wonder what the film had on its mind, exactly. I suspected that whatever it was, it wasn't entirely political in nature, because while the film clearly doesn't sympathize with Keitel -- the most unambiguously decent man in the whole movie, McShane's photographer, is also the most capitalistic, in that he's rich, and seems to enjoy being so -- it also doesn't have much new to say about people like him. Keitel doesn't even show up until the film has about a half hour to go, and while he and Kinski exchange words about the folly of his way of life, they are fairly trite. They're no less true for that, but it's hard for me to believe that Toback was building towards that moment. Exposed ends with a rush of violence that seems arbitrary, or maybe obligatory is more on target. I don't mean that a scene of violence isn't a natural conclusion for this material, but the scene isn't imagined with much sharpness, and the staging of it is on the bland side. Even so, the film is quite strong overall, and especially involving in the way Toback stitches together the various elements of Kinski's experience. Some might complain that, when the chips are down, she's too passive, and is simply swept along by the wills of these men, but I guess that's life in the big city for you. 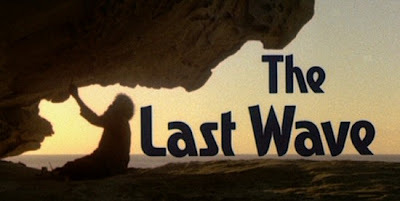 The Last Wave (d. Peter Weir) - I'm not sure what kind of status Peter Weir currently enjoys in the hierarchy of living and working film directors, but, while I do know that he's generally admired, I feel confident that he's not admired nearly enough. The Last Wave, Weir's third full-length film, is such a unique blend of social critique -- the subject being white Australian society's casual obliteration of Aboriginal culture -- and apocalyptic horror film that I'm left wishing that, if modern horror filmmakers are going to base their careers on all the films they watched growing up, more of them had watched Weir's early work. Pairing The Last Wave with Weir's previous, obliquely hair-raising masterpiece Picnic at Hanging Rock, gives you a snapshot of a body of work in the horror genre that would most likely have been extremely formidable. Unfortunately, Weir decided to move away from that world, and make excellent films in any number of other genres. The Last Wave centers on the mysterious death of an Aborigine man who appears to have drowned, after a drunken fight, in a shallow puddle of water. A group of Aborigines are accused of the murder, and admit their guilt. However, their white attorney, David Burton (a very good Richard Chamberlain) wants to base his defense on the idea that the man's death was the result of his breaking of tribal laws, a defense that, if it bore fruit, would strongly effect the sentencing. Because all the men, the accused as well as the victim, are believed to be city people, and not tribal Aborigines (the fact that this is all taking place in Sydney would, alone, seem to indicate this), Burton finds little sympathy for this idea, but he's driven forward, based on scraps of evidence, as well as strange, premonitory dreams involving tribal symbols, one of the accused (ubiquitous Aboriginal actor Gulpilil), and water. Significantly, this is all happening in the midst of massive, endless rainstorms that are thoroughly soaking the entirety of Sydney, in a way that at first seems like a relief that that sun-cracked country, but soon becomes ominous. The Last Wave doesn't revel in the unexplainable in quite the same way Picnic at Hanging Rock does, and this is perhaps to its detriment, but working with a low budget, and therefore unable to falsely pump up his film with special effects, even if he'd been inclined to, Weir brings the same kind of quiet dread and nightmare imagery to The Last Wave as he did to the earlier film, and the overall effect is one of creeping, pervasive unease. 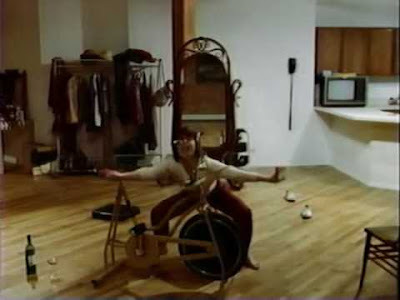 Mr. Weir, if you have any interest in returning to your own brand of horror filmmaking, I beg you to do so. We need it badly. Yes, I share your enthusiasm for The Last Wave. When I first heard about it being an apocalypse film, I was intrigued. Then it aired on IFC, and as it was rolling I kept thinking to myself, "how is this an apocalypse story, exactly?" And then those final minutes slam you out of nowhere. That tidal wave still has me spiraling down in circles of madness. I'd love to see Weir go back to that psychological horror territory as well. He's basically Australia's answer to Herzog. He's got a new film due out later this year, I believe. Something with Colin Farrel called The Way Back. It'll be tremendous, I'm sure, to see him making a comeback--though he could have ended his career with Master and Commander and I'd probably still be satisfied. A masterpiece like that certainly entitled him to a 7-year hiatus! I can't wait for THE WAY BACK. I think Weir is just extraordinary, and MASTER AND COMMANDER is one of the best films of the last 20 years. I would love for him to continue on in the Aubrey/Maturin series, but I'll still happily follow him anywhere.